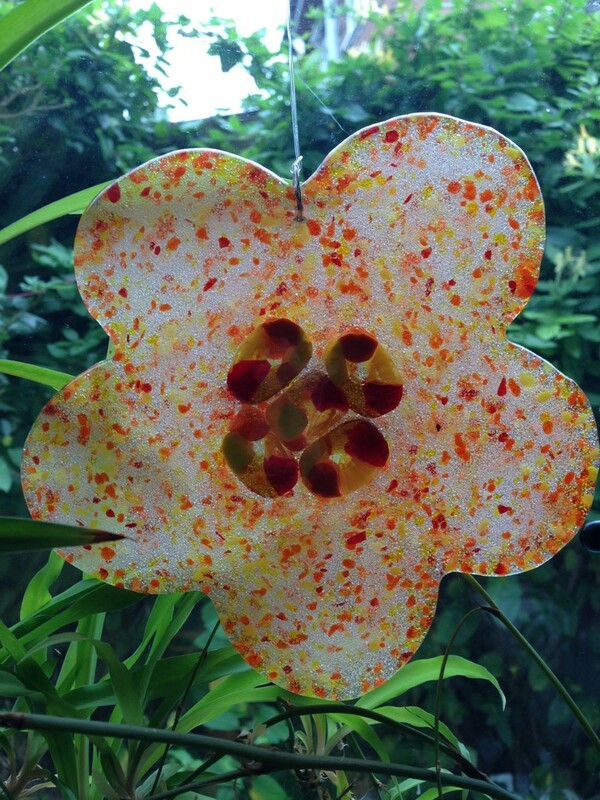 I make fused glass ornaments to decorate the garden. 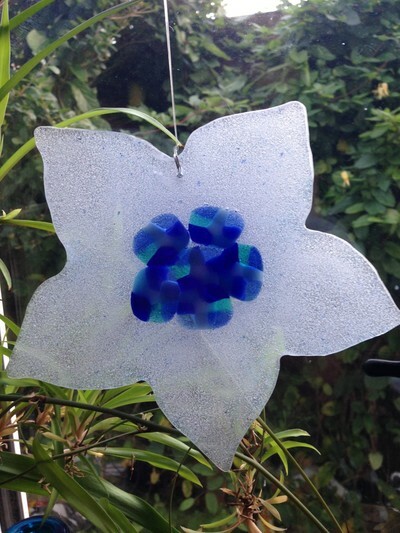 Primarily hanging ornaments and following a nature theme, albeit with different colours. 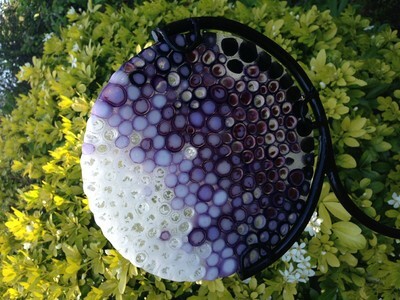 I'm passionate about different colour blends and how glass looks best in sunlight. 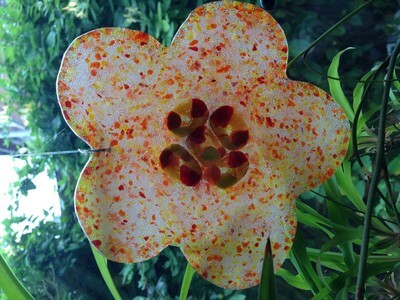 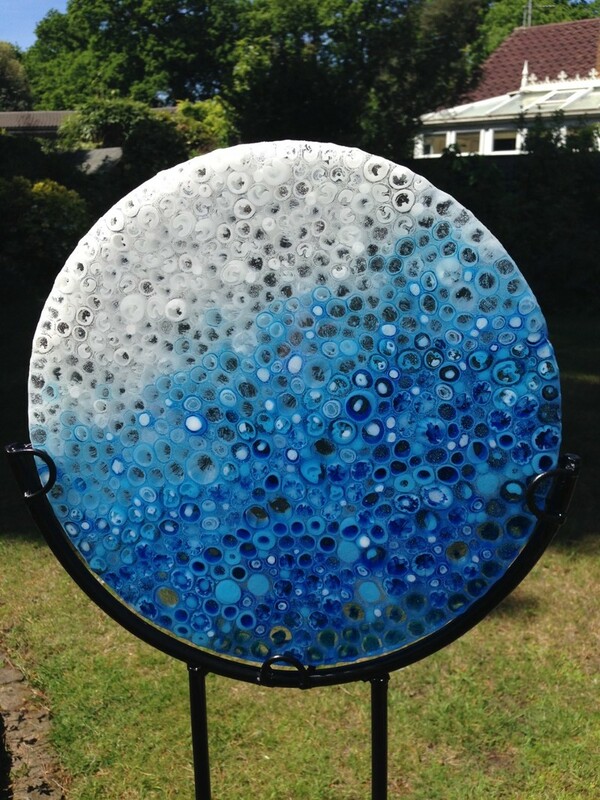 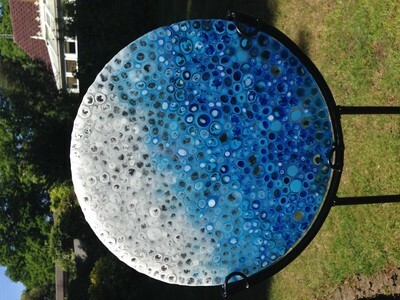 I also create vitrigraph glass plaques called Fractaalas, also to decorate the garden. I originally started working with glass by learning stained glass and then graduated to other forms, primarily fused. 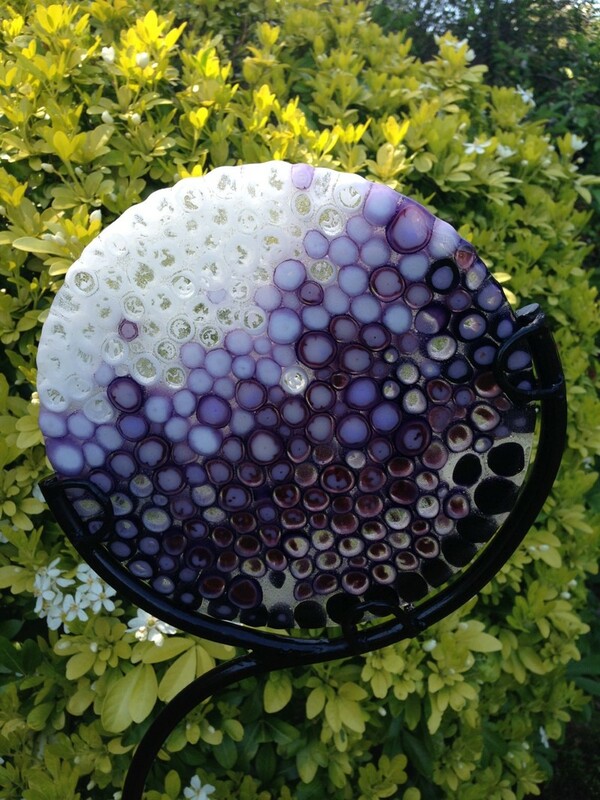 I am mainly self-taught although have attended a number of glass courses over the years (fusing, casting, blowing and vitrigraph). 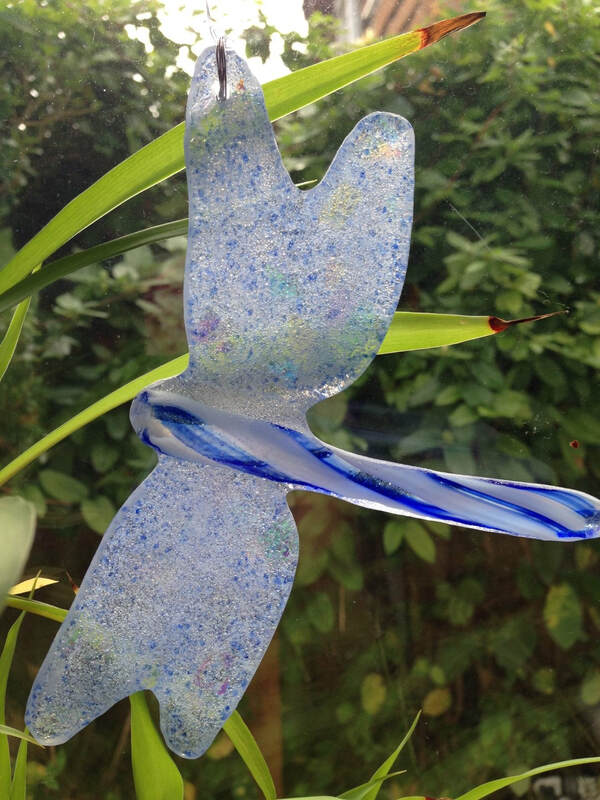 I am also an avid collector, particularly blue glass.